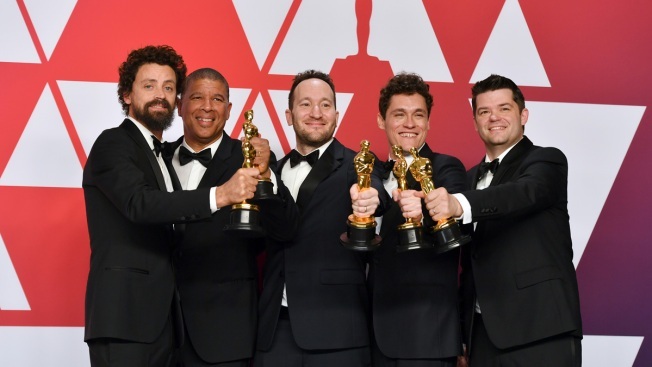 Bob Persichetti, Peter Ramsey, Rodney Rothman, Phil Lord and Christopher Miller pose with the award for best animated feature film for "Spider-Man: Into the Spider-Verse" in the press room at the Oscars on Sunday, Feb. 24, 2019, at the Dolby Theatre in Los Angeles. 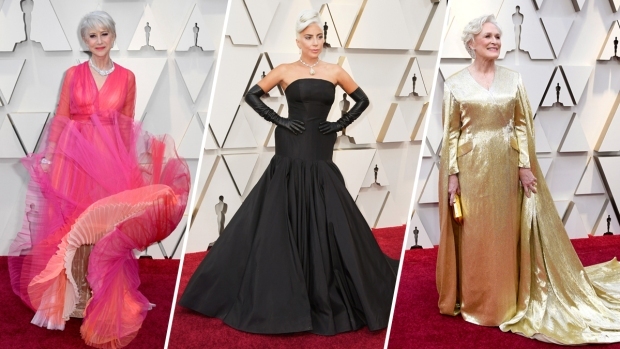 "It was a film to all humans that we have the potential to be heroes," said Peter Ramsey, who became the first African-American director to win an Oscar for an animated feature film. He stood onstage with fellow directors Rodney Rothman and Bob Persicetti, along with Chris Miller, who co-produced the film with Phil Lord, one of its co-writers. "This was a huge responsibility," Ramsey added. "We knew how important it was going to be for black kids to Latino kids, you know, kids who can be their best selves no matter who they are. We're gratified that people are receiving this story." "Spider-Verse" features alternate spider heroes from different dimensions with the voices of Shameik Moore, Hailee Steinfeld and Mahershala Ali. Moore plays Miles Morales, a biracial Brooklyn teen who gains an array of superpowers after being bitten by a radioactive spider. Morales' hero melds his superpowers, including enhanced hearing, wall-crawling and camouflage abilities, and wearing a red-and-black outfit and a cool pair of sneakers. "We wanted a movie that challenges the audience to believe in themselves," Miller said. "We wanted them to be inspired and make a difference in the world — to possible be a mentor or hero." "So when we hear that somebody's kid was watching the movie, and turned to them and said 'He looks like me or they speak Spanish like us,' we feel like we already won."